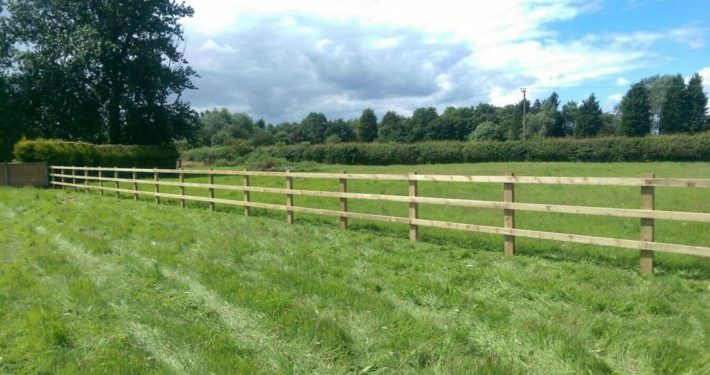 Stockdale Fencing has over 10 years’ experience in horse fencing. The proprietor, Tom Stockdale has owned horses for many years and has managed a full-livery yard with his wife, Veronica. 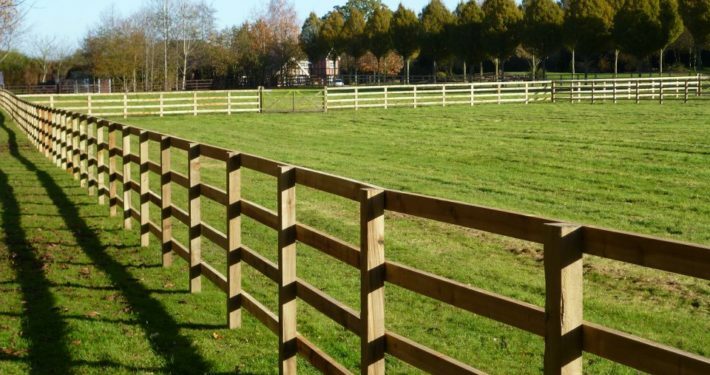 This gives Stockdale Fencing the ability to advise and install the best products to meet the demands of the customer, with a special emphasis on horse safety. 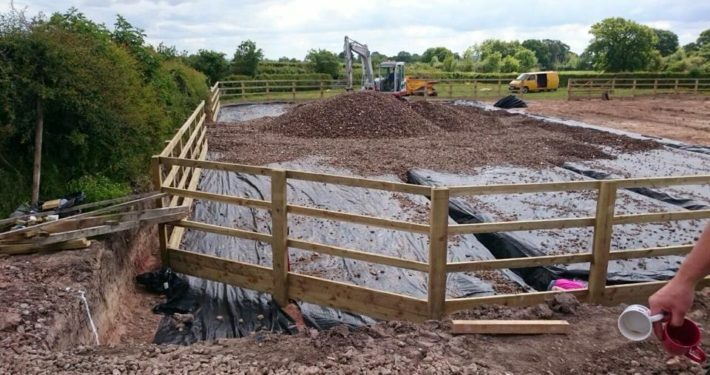 In the last 10 years, horse fencing has really developed with the introduction of Horse rail, hot cote and equi-net. 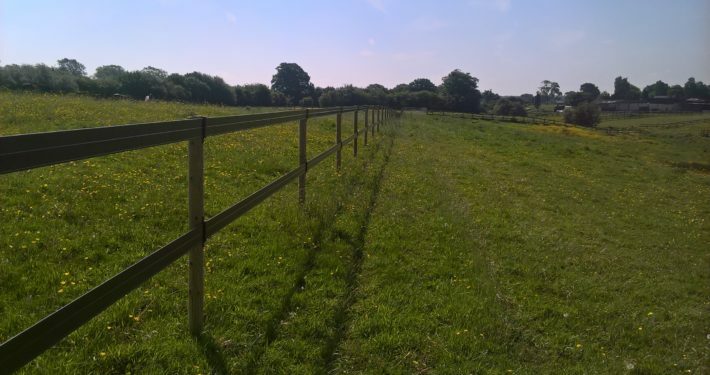 Stockdale Fencing has lots of experience fitting all these types of fencing, including the more traditional post and rail. For more detailed information on these products please see the tabs below. Horse electric fencing has advanced a lot over the last 10 years and Stockdale Fencing can offer a range of electric fencing options. 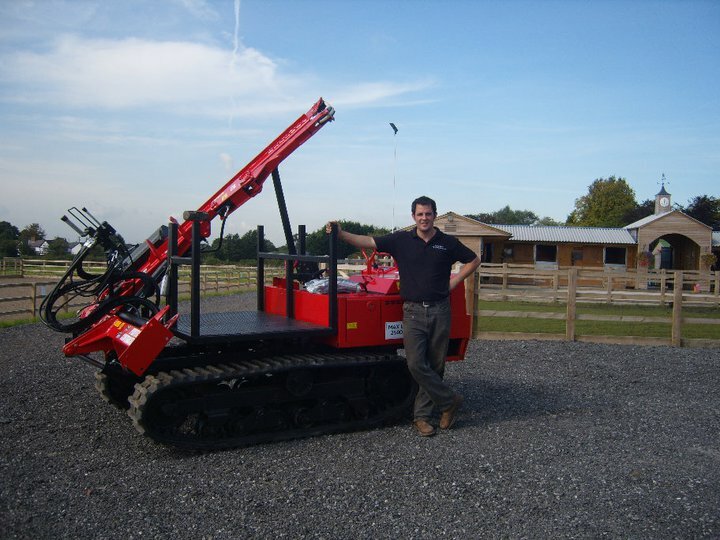 These can be offered in conjunction with most other fencing. I.e. post and rail, livestock or equinet. Electric fencing can help protect the fence by preventing rubbing and chewing, making it more durable and giving it a longer life. Stockdale Fencing can install all types and colours of tape to meet the demands of the client. Stockdale Fencing uses the best insulators and tensioning tools to make sure your electric fence is a strong, durable fence. Horserail is a relatively new product and offers a traditional post and rail-like appearance, but can also be electrified. More information is available at the Horserail website. Please click to visit. We recommend a product called HotCote, which is an 10mm line that comes in white or brown. It is longer lasting and stronger than tape. It does not flap in the wind and can be easily re-tensioned over time. We can supply and fit electric fencing units and offer advice and support on how to manage your electric fencing. Equinet has been specifically designed for horses. It is made from 2.5mm HT galvanised wire and is 110cm tall. The holes in the netting are small, so that horse feet cannot pass through it. 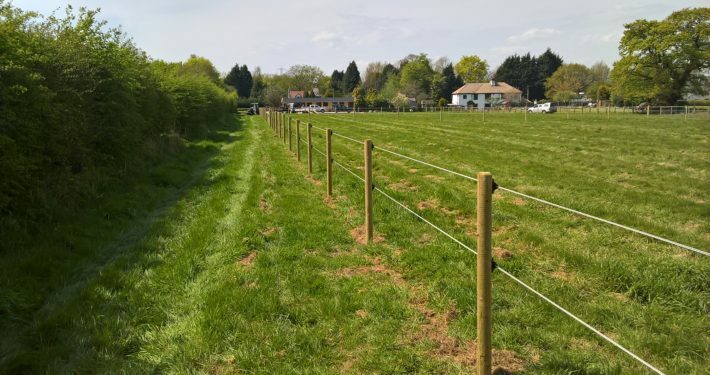 We erect this fence in a similar way to sheep netting; it has straining posts at the ends where the wire is tensioned to give a strong rigid fence that is supported by intermediate posts every 3.5 metres. It is popular next to footpaths, because this fence can keep any size dog out and protect your animals from being chased. A good application is against a hedge. Trim the hedge back then install the equinet and the hedge will grow back through to make a superb, long-term secure barrier. Equinet is versatile and has a number of applications as it can be used to separate/contain a variety of animals. Horses, dogs, sheep, goats and alpacas. When equinet is installed we find that it is best complemented with a strand of electric fence, plain or barbed wire on the top. This protects the fence and prevents animals from leaning over. In most horse situations we would recommend a stand of brown nylon electric fence to be installed on insulators.